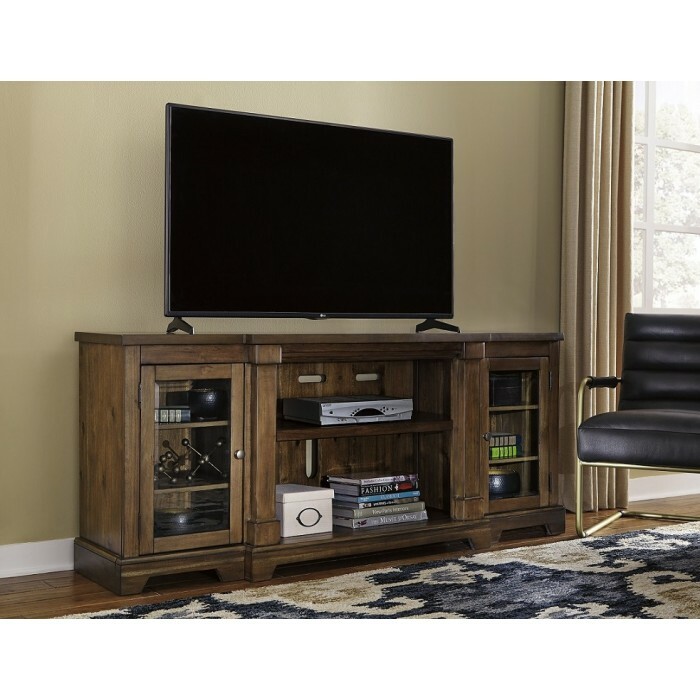 Made with select hardwood solids and Acacia veneers in a medium chestnut brown finish that highlights the natural grain characteristics. Breakfront design with bracket feet and overlay pilasters. Framed glass doors with large center opening that is compatible with our W100-21 large fireplace units or use an adjustable shelf. Knob hardware in a glazed zinc coloration. Fits a 75" TV.